Welcome to my Holiday Gift Guide Christmas in July by RoosterFin Games. 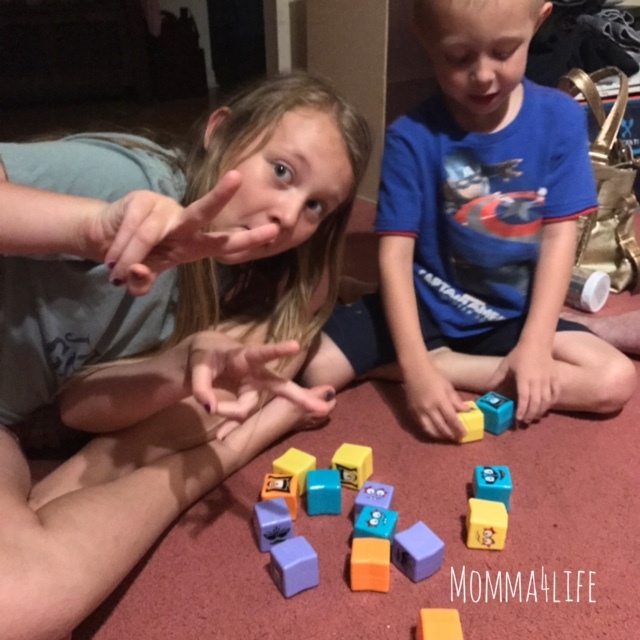 I am going to tell you about a few games we were able to review and both kids really enjoyed these games so much!! The first game is called lumpy cubes this game is absolutely adorable and is recommended for ages six and up. 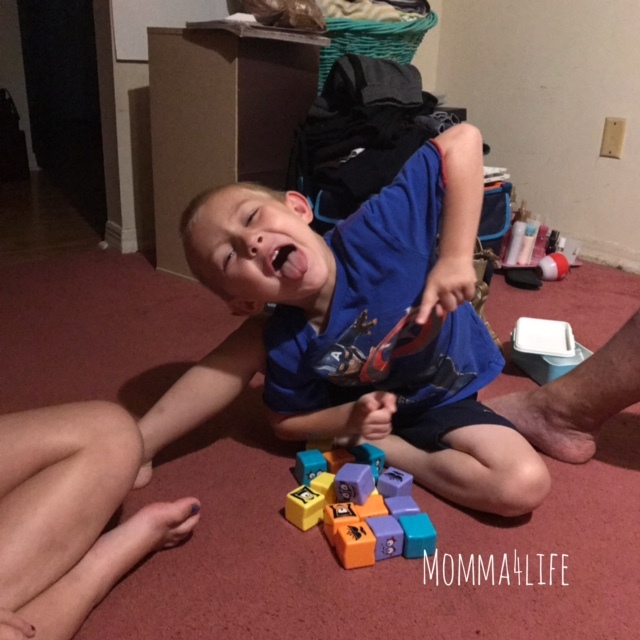 Now, of course, we have family game night every Friday and the kids absolutely look forward to doing this every Friday night. 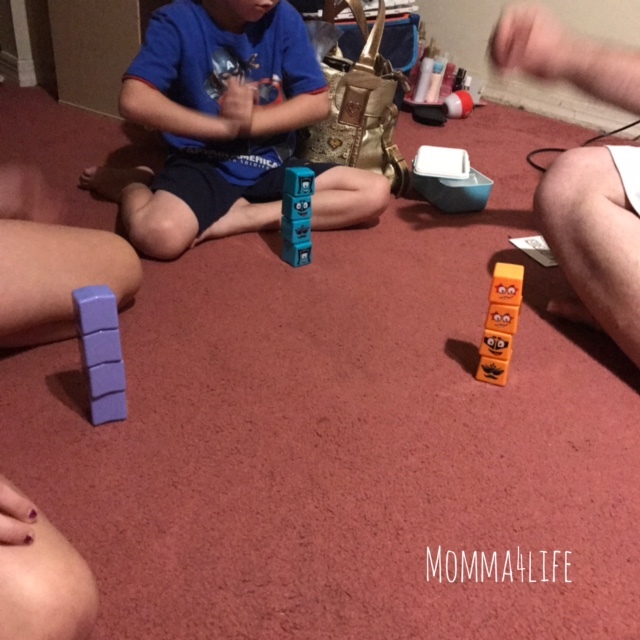 Now during the school year, we switch it up and do family game night on Saturday nights just because the kids are tired from a long day at school. So we received the game lumpy cubes and bouncing Bots. I will get to the game bouncing bots and just a little bit. But now we're gonna talk about lumpy cubes hero edition this is absolutely the cutest game I've played. So basically what you do is everybody gets a cube of each character. 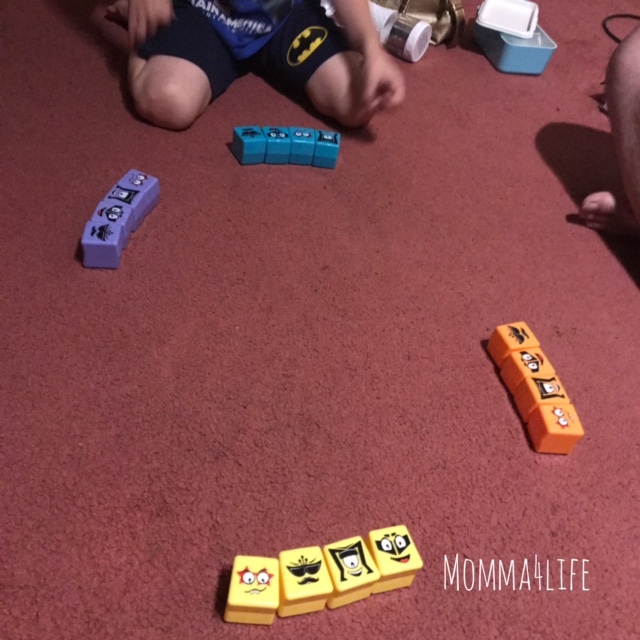 You lay them out in front of you and then there's a card pile to pick from this is a memory game so you have to pay close attention this involves improving your memory, reaction time, and motor skills. Each card there is a different pattern challenge and there's only one way to be correct if you find it and stack it first you win. My daughter is eight and my son is five and we were all able to play and understand what is to be expected. 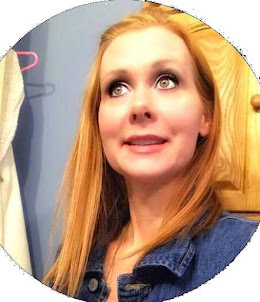 However mommy a.k.a. "me" was a little slower than the others and of course, I didn't win. 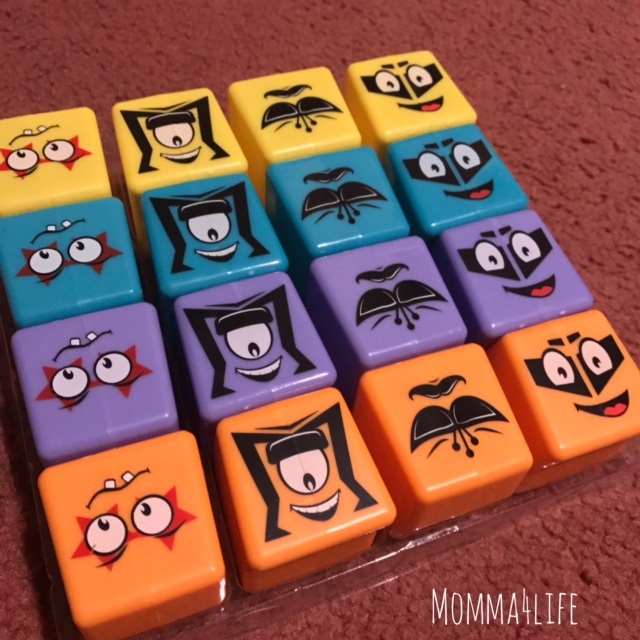 But my son got it right a few times you have to be sure you get the right cube and it confuses you because it's not going to be easy there are certain cubes that have the same faces but you have to make sure you get it the right way if that makes sense. 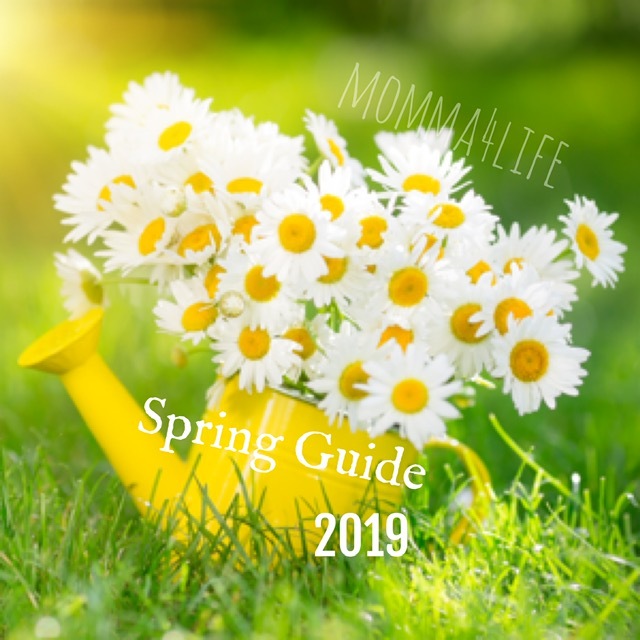 We absolutely loved it and it was so much fun. We even took it over to the Grammies house so the cousins can play with them also this game can only play up to four players at once. This game retails for around $15.00 and can be found on Roosterfin.com or Amazon. 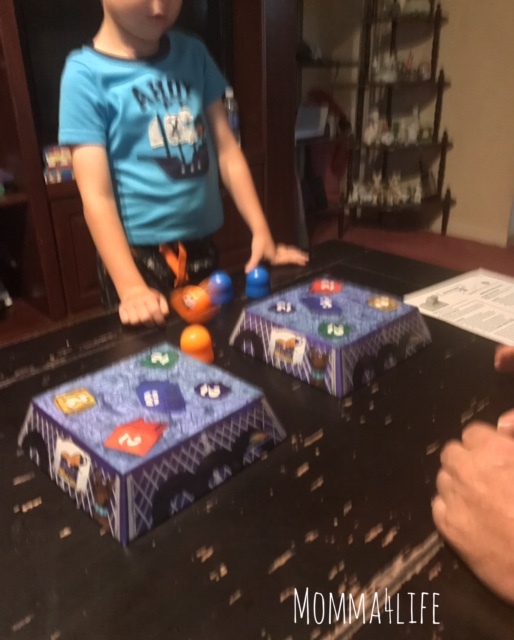 The next game I want to tell you about is called Bouncing Bots this is a family board game fun for all ages but recommended for ages seven and up. 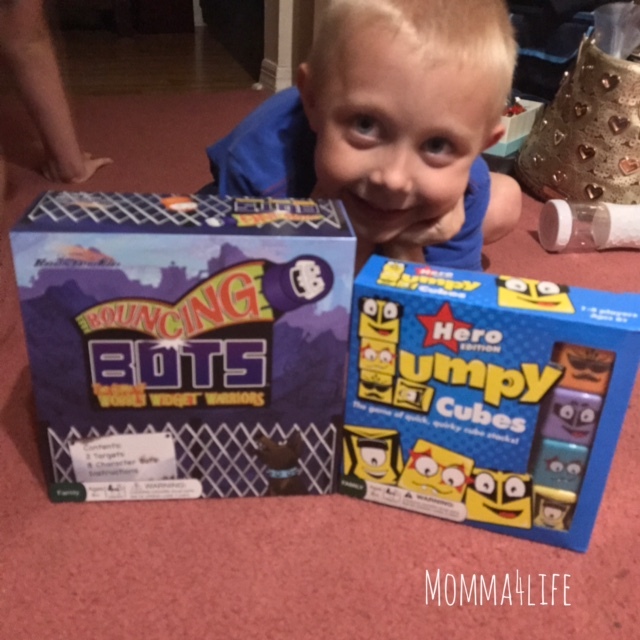 Bouncing Bots is and imagination game that has bouncing bots and a junkyard this is perfect for family game night, birthday party's, vacations, all kinds of stuff. This game was created by a teacher as an educational game to improve motor skills, and hand and eye coordination too. 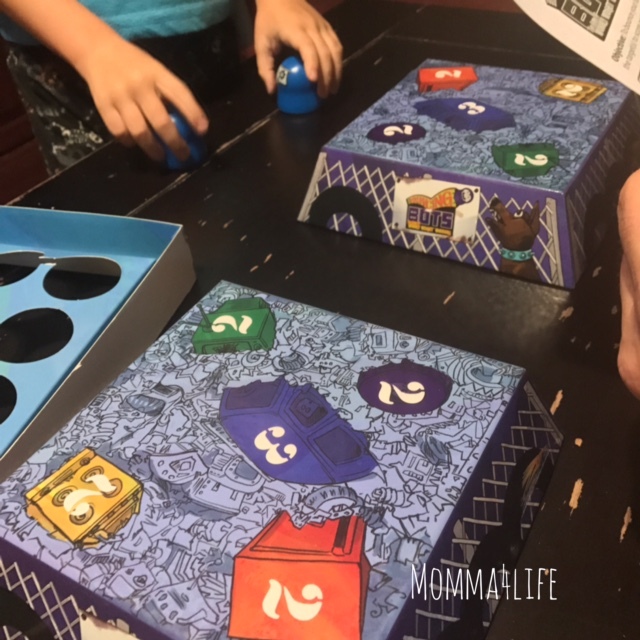 For this game all you do is turn the box over for the junkyard and you take your bouncing bots and bounce them on the table and aim for a target. With this game you can play up to four people also now this game was really fun for me. It was a little bit difficult for the kids my daughter had a hard time with it however my son seem to like it a lot. This game retails for $21.99 and can be bought on Roosterfin.com or Amazon.